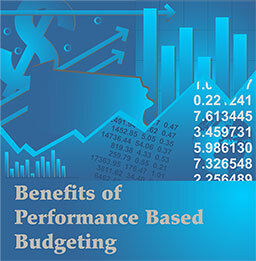 Performance Based Budgeting is an effective method to counter the tendency toward perpetuation of outmoded state programs. 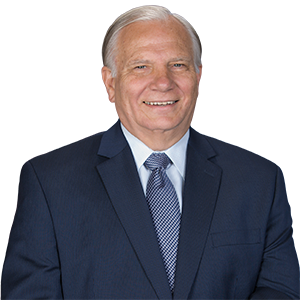 Senate Bill 181 would create a performance-based budget board to review the performance-based budget plans of Pennsylvania agencies and make recommendations on how each agency’s programs may be made more transparent, effective, and efficient. A mission statement on how the agency is accountable to taxpayers. A description of activities that comprise the agency and justification for the existence of each activity. An itemized amount of expenditures for each activity under the agency. Ranking of all activities that shows the relative contribution of each activity to the overall goals and purposes of the agency. A quantitative estimate of any adverse impacts that could reasonably be expected should an activity be discontinued as well as a full description of the methods by which the adverse impact is estimated. 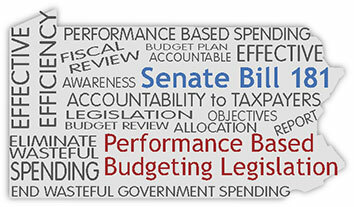 Each agency shall receive a performance-based budget review no less than once every five years. Starting 60 days after enactment, approximately 20% of agencies shall be subject to performance-based budget plan review each year. After the Performance Based Budgeting Board submits their recommendations for each state agency, the Independent Fiscal Office (IFO) will review the recommendations and prepare a report that approves or disapproves the recommendations.